Hanus Berka (sax) from Prague came to Germany for the first time in the mid-sixties. After an extended stay in Las Vegas, he settled in Munich and formed Emergency at the end of 1970, comprising Udo Lindenberg (drums), Barrie Newby (guitar), Jiro Matousek (keyboards), Otto Bezloja (bass), Dusko Goykovic (trumpet) and Reddy (vocals) - four Czechoslovakians, one German and an Englishman! Their debut album proved them to be more related to the European jazz scene than the German one. 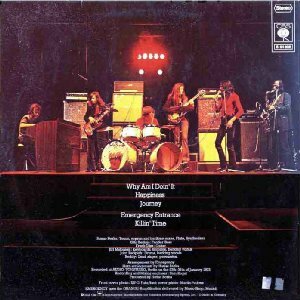 For "Entrance" (1972), most of the band was changed, as jazz combos tend to be! Udo Lindenberg was replaced by John Redpath and on occasion, famous drummer Curt Cress also performed with the band. 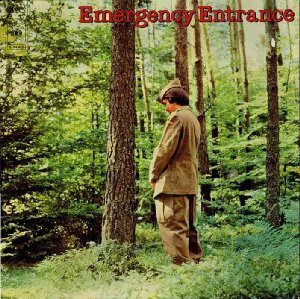 At the end of 1972, Emergency was re-organized again, and signed with Brain Records. "Get Out Of The Country" (1973) was recorded by Berka, Peter Bischof (vocals), Richard Palmer-James (guitar, ex-Supertramp, later with D.D.Sound, La Bionda! ), Jerzy Ziembrowski (bass), Veit Marvos (keyboards, ex-2066 & Then), Martin Harrison (percussion) and Bernd Knaak (drums). Bischof had a soul-ish voice, resulting in a merging of jazz, soul and funk rock, quite song-oriented and mainstream. The best track was the 12-minute title track. "No Compromise" (1974) was recorded by Berka, Palmer-James, Frank Diez (guitar, bass, ex-Armaggedon, later with Randy Pie, Karthago, Ihre Kinder, Atlantis), Ralf Toursel (piano) and Hans Stoer (bass). Arguably, this was their best album, due to larger doses of inspired instrumental work. After Emergency disbanded, Frank Diez and Peter Bischof recorded a similarly-styled album together for Atlantic in 1975. 01. Why Am I Doin' It?